Get the lowdown on Betfred Casino with Casino Veteran’s casino review. Some say he can identify individual cards by the sound they make when they hit the table, others that he has never lost a game of poker. He is the Casino Veteran, and he has been taking a closer look at Betfred Casino. Betfred is one of the biggest names in the sports betting world and as one would expect, its online casino site is impressive to look at. The layout is clear, and it presents an aesthetically pleasing backdrop for some of the casino world’s most popular games. There are hundreds of games to play and enjoy, and as the site is licensed by the Gibraltar Regulatory Authority and the UK Gambling Commission, it is one of the most reputable operators in the industry. With multiple customer service options, including live chat, email, phone contact and a comprehensive FAQ section, Betfred Casino is one of the most player-friendly and impressive sites online. Mobile gaming is a huge part of the online casino industry, and Betfred Casino meets the needs of mobile users with a site that works well on any device and operating system. Those bonus offers represent a pretty good deal, which should appeal to new players. The site also regularly updates its bonus offers, so it’s a good idea to check it out. Whether players are new to online gambling or are experienced players, they will be able to find a game to suit their playing style at Betfred Casino. The Casino Veteran expected good things from Betfred Casino, and he wasn’t disappointed. Signing up and claiming his deposit was easy, and he found the well-designed site a pleasure to use. He was impressed by the sheer range of games on display. 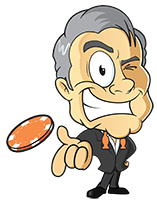 In one gaming visit, the Casino Veteran was able to go for a big prize with some of the site’s Marvel-inspired jackpot slots, try his hand at live roulette, and enjoy a few spins of popular titles, such as Siberian Storm and Rainbow Riches. 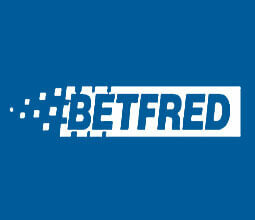 The Casino Veteran enjoyed his visit to Betfred Casino and rates it as one of the best sites he has visited.